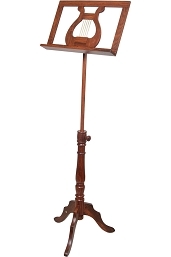 Early Music Shop 42 Inch Music Stand Adjustable King Albert 1 Tray. Early Music Shop (EMS). 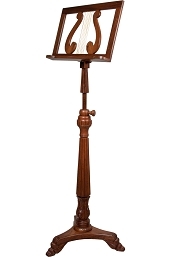 This music stand is made of solid sheesham and has an adjustable height and tilt. It is designed by The Early Music Shop (EMS), UK of Bradford England, one of the leading sellers of medieval, renaissance and baroque musical instruments. The stand opens to a full height of 54.5 inches, which is from the bottom of stand to top of music tray. 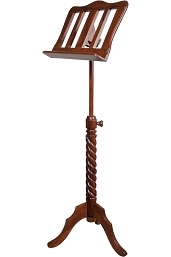 Stand can be lowered and raised to the height you prefer and the height from bottom of stand to the bottom of tray ranges from 29 to 42 inches. The base measures 17.5 inches between the ends of the three beautiful carved claw feet that support the fully carved pillar. 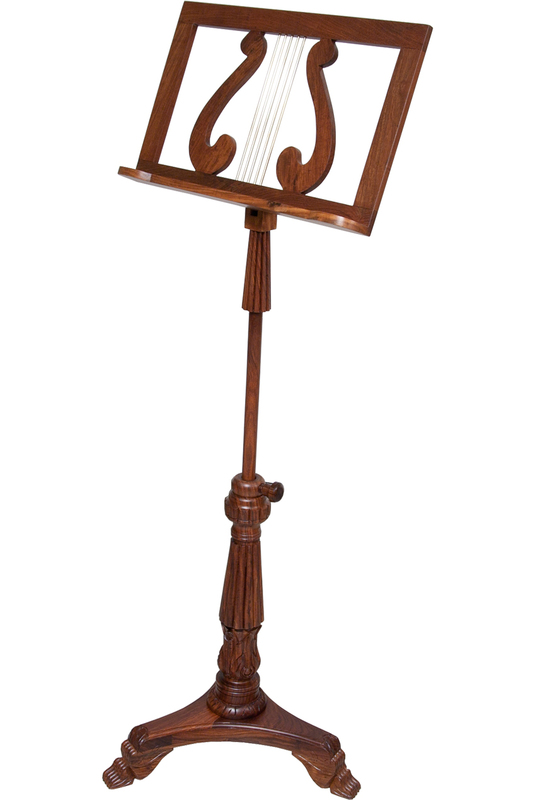 The music tray has a lyre design and is made of sheesham and brass. 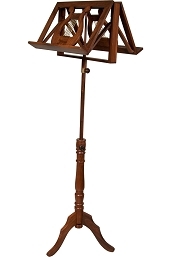 The music tray is approximately 19.75 inches in width by 12.5 inches in height.